Comodo CA has re-branded and is now officially Sectigo. We know you have questions, so this email is designed to give you the answers you need and outline what this change means to you as a Reseller. As you may recall, Francisco Partners acquired the Comodo Group's certificate business from back in the fall of 2017. This entity, branded Comodo CA, continued to operate in the same markets, attend the same trade shows and help the same buyers as Comodo Group. The re-brand decision was made to avoid confusion as well as help them deliver on their mission to help organizations of all sizes confidently secure and maximize the digital frontier. New Company Name: Comodo CA is now officially Sectigo to clearly distinguish the new company from predecessors and prevent confusion. New Logos: The company logo has been updated. Though November 2019, the new logo should be shown with the "Formerly Comodo CA" tagline. New Brand: The brand has been updated to represent a more complete web security. New product line logos have also been created for EnterpriseSSL, InstantSSL and PositiveSSL. New Product Names: All products are being renamed to align with the new brand. For example, Comodo EV SSL is now Sectigo SSL EV, and Comodo SSL Wildcard is now Sectigo SSL Wildcard. New TrustLogo: The updated Sectigo TrustLogo your customers will receive post-issuance has been included. New Management Team: Much of the team, including senior leadership, is new since the spin off from Comodo Group resulting in a constant flow of innovations and improvements. They’ve hired the best in the business from companies such as Entrust, Symantec, Venafi and more. Improved Processes: The new management team has been diligently dedicated to upgrading all aspects of the business, including practices and systems, navigation and communication, to ensure they exceed the highest standards. 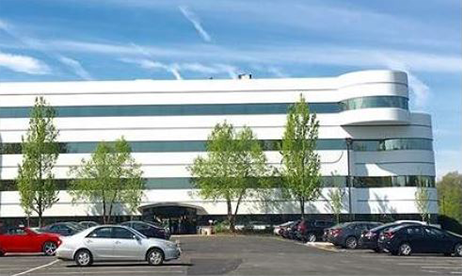 New Headquarters: As of July 2018, their new headquarters relocated from Clifton to Roseland, New Jersey. Expansion was needed to accommodate their growing portfolio of web and IoT security offerings. A Strong Canadian Presense: To provide stronger global support an additional 3,000 square feet was added to their new Ottawa, Ontario facility (opened in Feb. 2018) to accommodate development and quality assurance capabilities. The Ottawa support and validation teams have doubled and now deliver services in fifteen different languages. While the product names are changing, the actual products are not changing, and don't require any action on your part. There's no need to revalidate or reinstall anything. Until all product name changes are complete, you can continue to use the Comodo-branded products. You'll continue to pay the same attractive rates you've grown accustomed to with no change. Evolving Media & Design Inc.